feng shui (fung’ schway), n.
1. an ancient and modern art and science using color, direction, object arrangement, psychology, intention, and common sense to promote good vibes in one’s environment and therefore one’s life. No one can deny the difference one feels while walking on a beach in comparison to riding on the New York subway. Similarly, a person’s home or work place can suggest peace, comfort, inspiration, and safety…or the opposite. This, in its essence, is Feng Shui: environment affects us. The goal of a Feng Shui consultant is to create harmony in a space. In doing so, the occupants of the space benefit in all aspects of their life. Because Feng Shui works on a subconscious level as well as conscious, the effects of Feng Shui become alive in the person immediately, resonating into the outer world. For a space to have good energy, or chi (pronounced “chee”), the chi must flow. Hence the literal translation of “Feng Shui,” which is “wind, water.” Wind and water both have the potential to generate power beneficially (windmills, steamboats, waterfalls, breezes) or to harm (tornadoes, floods, hurricanes, blizzards). Chi is the same way. If it meanders freely through a home the occupants will feel nurtured and alive. If the chi goes too fast, the occupants will feel overwhelmed, overworked, or over-tired, as if there is an energy leak. If the chi is “dammed,” the occupants will feel blocked in their lives. 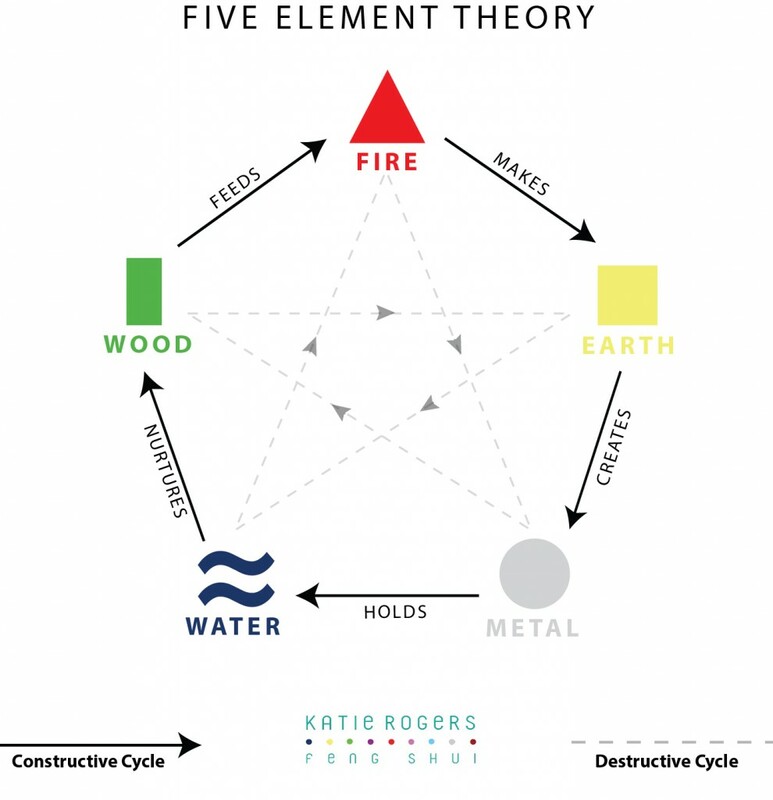 Feng Shui also takes into regard the five elements: earth, metal, water, wood, and fire. When these elements are in balance in a space, there is a sense of completion and oneness. When there is too much or too little of certain elements, the occupants could feel scattered, depressed, irritable, drained, nervous, bored, or even ill as examples of a few of the possible physical and emotional responses. 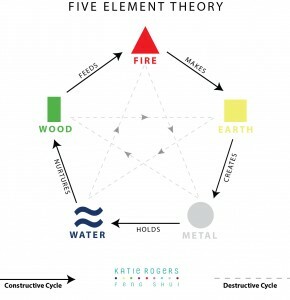 The Bagua map, rooted in ancient Chinese philosophies such as the I Ching, determines what part of the space is in correlation with the occupant’s life. 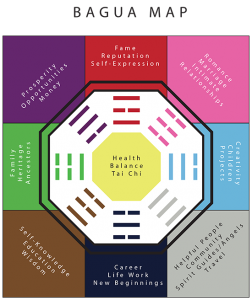 The nine sections of the Bagua map are Health, Journey, Self-Knowledge, Family/Heritage, Abundance, Reputation/Fame, Intimate Relationships, Creativity/Children, and Helpful People/Travel/Spirit Guides. When a person takes note of the different sections of the Bagua and works with the space accordingly, shifts occur. Feng Shui, on the most basic but potent level, is about honoring the space. This in itself will manifest a life that is fulfilling, inspiring, and in tune with the greater good. By taking care of one’s personal environment, the greater environment takes care of the person.